Its been a while, since I have completely fallen in love with a new concealer. I have a few products that have run out and I have not replenished yet. Before I stumbled on this one, I was actually using foundation (which is a waste) as a concealer. I received a Mary Kay package and seen the first 5 shades and was bummed out... but then I realized that one had dropped one: Deep Bronze. Literally, it is the perfect colour for me. Im extremely proud of Mary Kay! This product is very comparable to a something that I tried at Sephora for over $30. 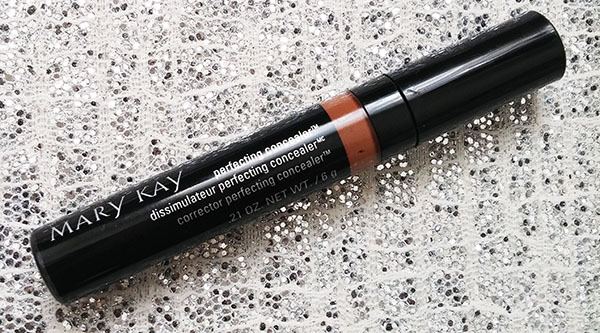 The Mary Kay® Perfecting Concealer™ is only $17.50 CAN. I'm late on the Ole Henriksen train. I'd always see the brand in Sephora but I wasn't sure if it was for me. 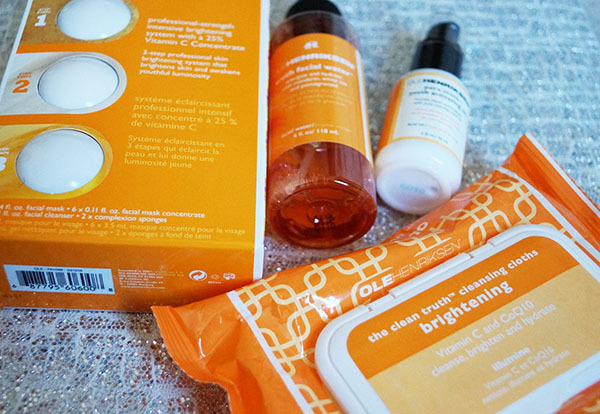 After having my first Ole Henriksen facial, seeing the Ole glow and meeting Ole in-person: I'm a believer. He told me I was cute and had great skin. He also give me a few personal skin recommendations plus talked about our love of Naomi Campbell! I've pretty much tried the whole line. I picked four items that are a MUST haves.... If was trapped on a island these products would HAVE to come with me. Back in June, I had the opportunity to go to a launch of the brand partnership between [yellow tail] Moscato and Nails Inc. With Summer coming to an end, it's time to let loose and soak of the last bit of fun. In select LCBO stores across Canada select [yellow tail] Moscato bottles ($10.90 CAN) will come with one of five complimentary nail polish shades by Nails Inc. I've always been a fan of Nails Inc! Their vivid nail colours and formula are amazing. 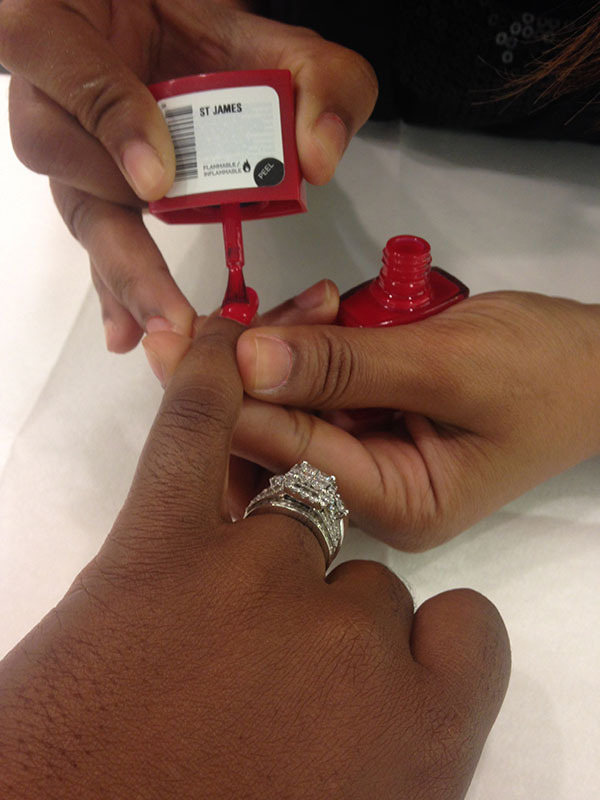 What could be better than enjoying a bottle of wine and giving yourself a mani and pedi. If you don't know, I'm obsessed with Moscato. 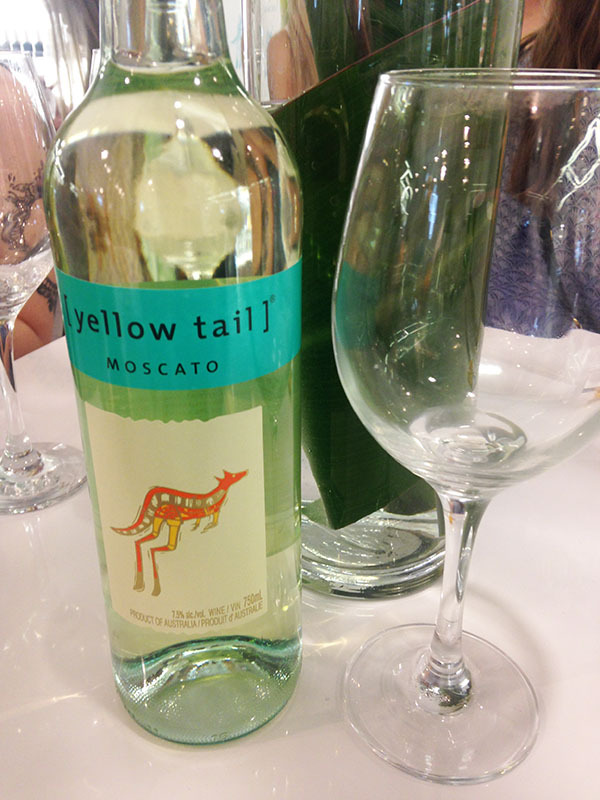 I can tell you that [yellow tail] Moscato does not disappoint! Don't believe me? Get your self a bottle now available from August 14 to September 10. I'm not 16 anymore- so my skin care routine is even more important. I told you all my story many times. How when I was younger, I used to be blemish free... then I turned about 25 or so I started to see pimples. It was really disheartening. I go through times where I find products that work amazing for me and other times where my skin was a MESS. 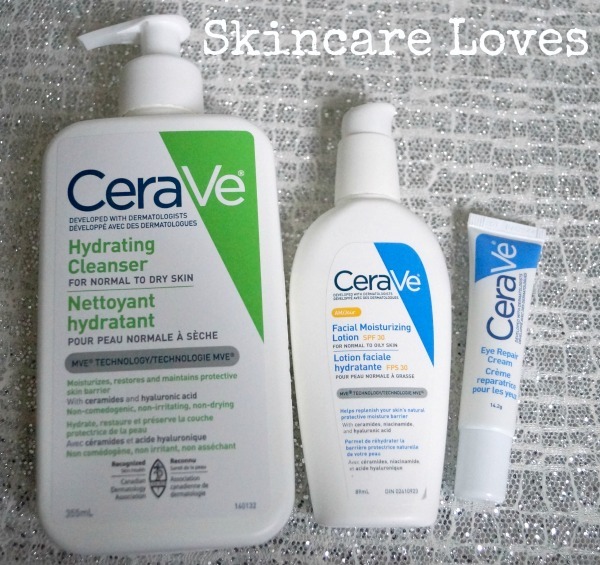 I'm really liking CERAVE. This brand was formulated with dermatologist to help repair your skin. It is also non-comedogenic, fragrance free and leaves and no irritation. Everything in the line is so mild( that I've tried). Right now I have a good regimen going on which I think I'm going to stick to until the winter. If you're going back to school and need some skin care advice. 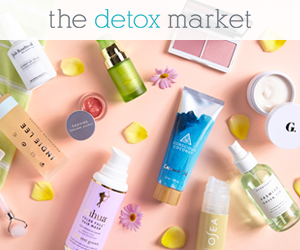 Definitely check out these products. These liquid lip colours have crazy staying power now a days. The removal can be crazy: Super long and annoying! 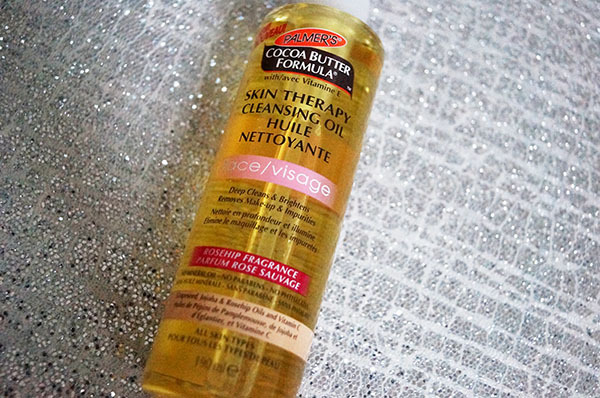 Right now, My favourite thing to use for removal is Palmers Skin Therapy Cleansing Oil- Face ($7.99 CAN). 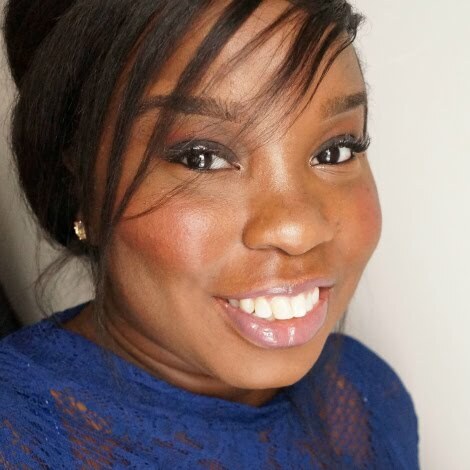 There’s a whole host of do's and don'ts out there when it comes to contact lenses and make-up: nifty reviews on what are the “safest" contact lenses and how to care for your lenses, amongst other things. Before we delve into this, what most people don't know is that a lot of contact lens wearers are practicing not so healthy habits which can be easily resolved leaving your makeup looking flawless and your eyes healthy. Here are 4 common mistakes, which may sound like no-brainers, but, are commonly practiced by contact lens wearers all around the globe. Sounds pretty simple doesn’t it - but it's not! This is actually top on the list of the most frequently asked questions by a first-time contact lens wearer. Why shouldn't you put in your contact lenses after you applied your make-up? First of all, there may be residues of moisturizer, foundation, eye shadow or mascara on your fingers which can easily stick to the contact lens disrupting the cleanness and clarity of the lenses. Secondly there is a high chance your eyeliner will run leaving you having wasted 15 minutes of a perfectly applied smoky eye. With such a vast range of products on the market today, it's all too easy to get carried away and be tempted to try every single product on the shelf. However when you’re part of the contact lens squad, you need to make smart decisions when choosing your mascara. Mascaras that contain extra fibers to enhance the length of your lashes are great, if you have 20/20 vision or wear glasses. However for contact lens wearers the results are less than positive. Lash building mascaras contain fibers which can potentially flake into your eyes and these can become trapped under your lenses, increasing the risk of infection. One solution to prevent flaking is to avoid touching your eyes or lashes but, an even better way is to invest in products which won’t flake. Eyeliners and mascaras which are designed for extended wear are the best solution and are particularly great if you have eyes that are prone to watering due to allergies. How you treat your makeup products is one of the most overlooked aspects of wearing contact lenses. Let’s best honest how many people follow the professional advice to throw and replace your mascara after 3 months? Mascara tubes in particular, are infamous for being the perfect 'moist' environment for bacteria and germs to build up. Plus, if you've been using a mascara for a little too long, they may get dry and cakey, which in turn creates clumps, flakes and the not so desirable risk of infection. A simple adjustment such as making sure you keep all containers firmly closed after use, using high quality makeup brushes, and frequently washing your brushes and sponges can improve your contact lenses experience dramatically. When you put on eye make-up, no matter how careful you are with your application technique or handling your products, there is still a high chance that there are some residues of your make-up product that have got onto your contact lenses. So with this in mind we highly recommend you to be disciplined about replacing or cleaning them properly. Rubbing your lenses in solution for a few minutes before storing them, even if you are using a ‘all-in-one’ solution, is vital when you have been wearing makeup. Also to avoid unnecessarily putting your eyes at risk of infection and if you feel daily washing wouldn’t fit into your lifestyle daily disposable lenses are a great investment. By using a fresh, new pair of lenses every day, you’ll avoid the buildup of protein (from your eyes) or pollen, makeup and other agents which may cause irritation. Check out SmartBuyGlasses’ collection which offers a vast range of purse friendly contact lenses suitable for all lifestyles. For more information on contact lens care, head over there .